This summer, athletes from across the globe went head to head for a new title: “Most Charitable Athlete.” Inspired by its annual Celebs Gone Good list, honoring the most charitable celebrities of the year, DoSomething.org announces the winners of its inaugural Athletes Gone Good list. Cristiano Ronaldo topped the list for going above and beyond on the field and in his charity work. 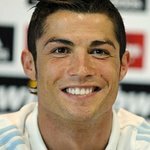 The Portuguese soccer star raised money for various causes including donating more than $83,000 to a 10-year-old fan in need of brain surgery and giving more than $165,000 to fund a cancer center in Portugal that treated his mother. Ronaldo has also used his fame as a global spokesperson for a variety of causes including childhood hunger, obesity and biodiversity. WWE Superstar John Cena took home second place on the list for granting nearly 500 wishes with Make-A-Wish. Cena is the most requested celebrity Wish granter and holds the record for the most Wishes granted through the organization. He has also supported other organizations including Susan G. Komen for the Cure to raise funds and awareness for breast cancer. Through Cena’s leadership and dedication, WWE has raised more than $1.5 million since partnering with Susan G. Komen in 2012. Serena Williams not only won her sixth Wimbledon championship this summer, but also landed the third spot on the Athletes Gone Good list. In addition to her work with the Serena Williams Foundation and as a UNICEF Goodwill Ambassador, Serena supported the 1 in 11 campaign to support access to education this year. South Korean figure skater Yuna Kim took home the fourth spot for her work as a UNICEF Goodwill ambassador and Brazilian soccer player Neymar Jr. came in fifth place for his participation in FIFA’s 11 Against Ebola campaign. The winners of Athletes Gone Good are selected as a result of a three-part methodology, Votes and nominations from the public, Athlete’s influence on social media and Advice from the Athletes Gone Good Advisory Committee. In the spirit of Athletes Gone Good, DoSomething.org is encouraging young people to post inspirational sports quotes in gyms and locker rooms through a campaign called Quote of a Champion. To learn more about Athletes Gone Good, click here.